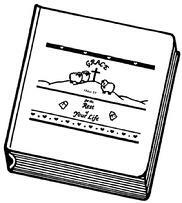 The Gracestoration notebook, GRACE for the Rest of Your Life is available to order here. This 3-ring binder of 20 lessons includes instructions, the Table of Contents and additional materials. Each individual lesson contains one large card in a sheet protector, pocket dividers with Explanation pages, Notes and Quotes pages, and three small cards for sharing. If you have any questions or comments, please send us an email at orders@gracestoration.org and we will communicate with you and complete your order as soon as possible. The suggested donation for the Gracestoration Notebook is $60.00 and for each individual lesson download is $1.00 per lesson per download/print. Note: The Oak Pointe Church Version contains four additional lessons (at $3.00 each) bringing the Gracestoration Notebook, OPC total to $72.00. The following additional lessons are also available. More lessons will be added as they are completed. A donation to cover the cost of the materials is greatly appreciated. Please calculate the costs as noted above. A donation can be made by clicking on the PayPal button below and following the on-screen instructions, or by sending a check to Gracestoration, PO Box 1930, Englewood, CO 80150-1930. If you have questions, please email us at orders@gracestoration.org. Gracestoration (a dba of CUPbearers) is supported by the voluntary gifts of friends who believe in what God is doing through this ministry. Donations may be made online through PayPal (your receipt will indicate CUPbearers) or by sending a check to Gracestoration, P.O. Box 1930, Englewood, CO 80150. Thank you!